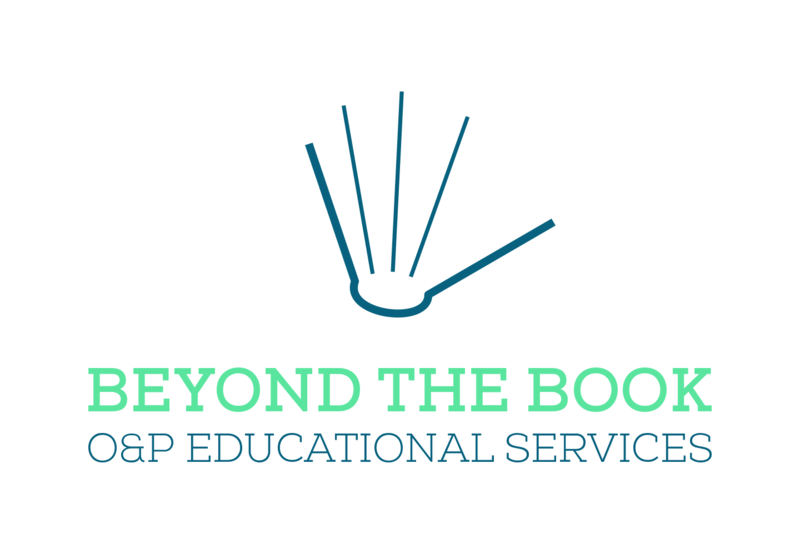 A notable pain point for many small business owners is their inability to get access to funds. Oftentimes the individual either has too poor of a credit score or they are seeking too low of a funding amount for any bank to bother considering them for a loan. 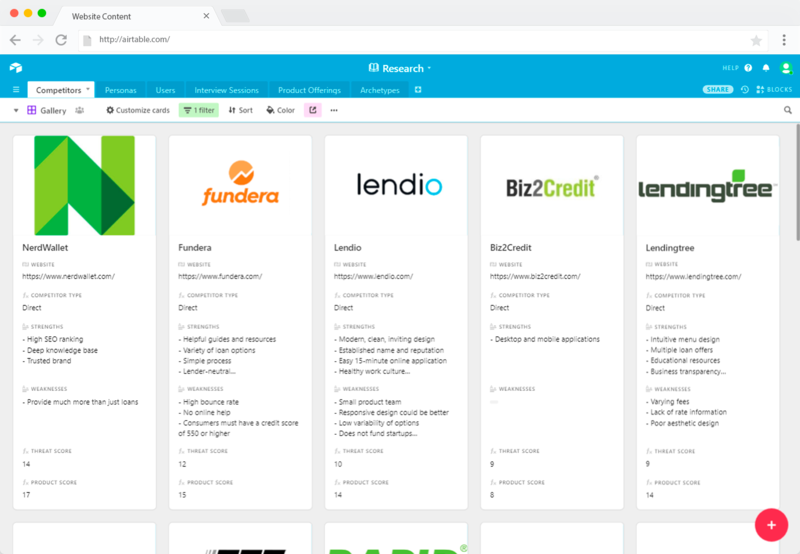 This is where the online lending industry steps in. Many online lenders are willing to do higher risk deals and smaller amounts in order to corner this segment of the market. Unfortunately, this also results in unsavory business practices where lenders will take advantage of uninformed consumers by pushing loans with higher terms because it's often the only type of funding that some customers are qualified for, regardless if it makes good business sense. 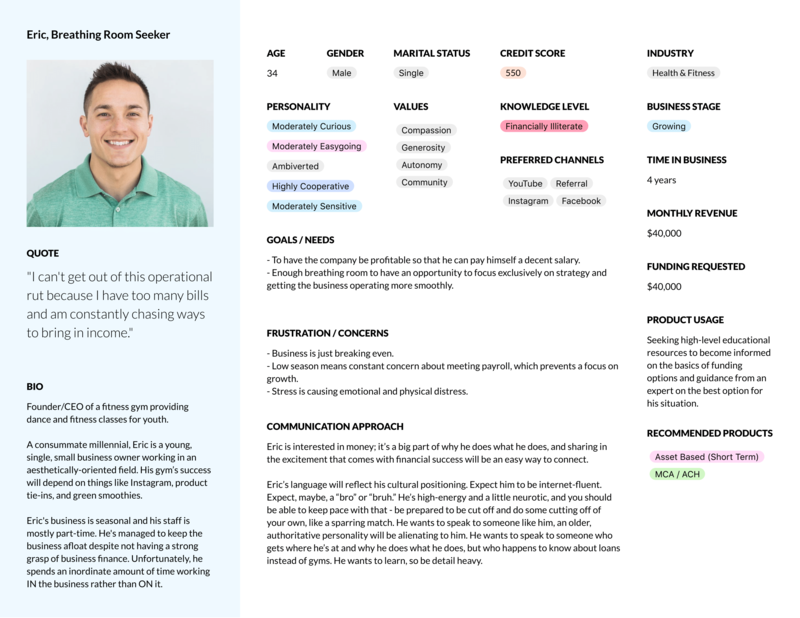 After doing some initial research on the industry through looking at trends, reading white papers, talking to experts, and interviewing our sales team, I was tasked with developing an initial set of personas. A total of six came out of that research, and one is presented below. They should continue to evolve as customer engagement increases and deeper insights are gathered. The next task was to look at the competition. 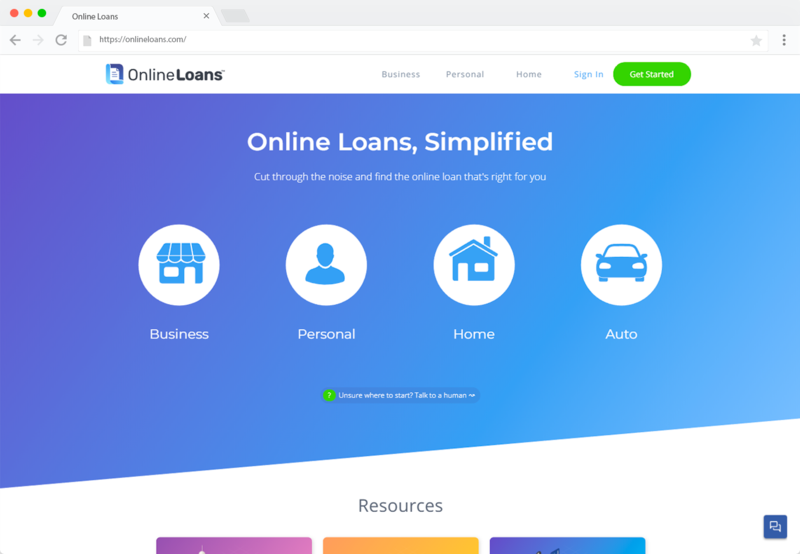 What were the most successful online lenders doing and how could Online Loans set itself apart? I approached this question by not only doing the surface-level research on each company, but also by taking on the role of of a customer, adopting a use case, and exploring how the various competitors would address the use case. I then rated each competitor on several factors related to their product offerings to determine which competitors we should be focusing our attention on as we develop the company and product strategy. As I proceeded through my research, there were a few key insights that showed up that I felt could greatly inform strategic direction. I learned that there were certain industries that lenders tended to avoid and wondered if perhaps there was a sweet spot between customers who were low-risk but also made up a significant percentage of the market. I answered this question by comparing default rates by business type with industry figures provided by the Census Bureau. 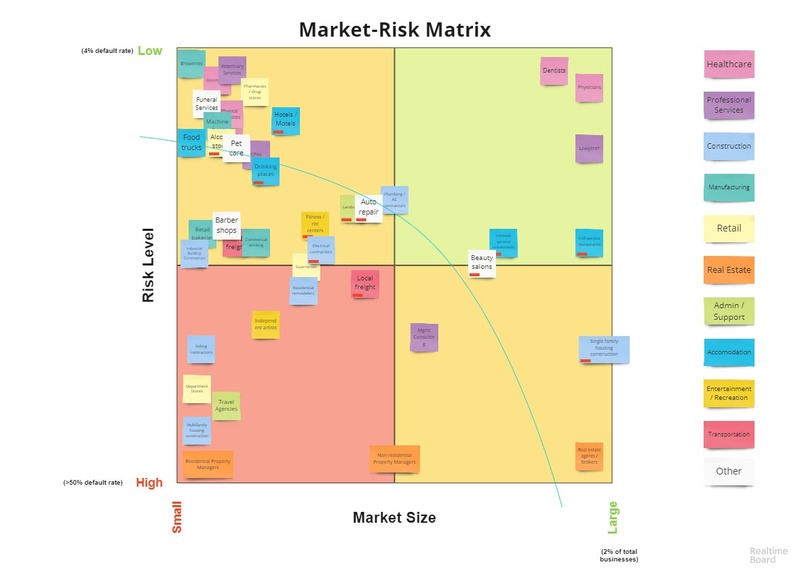 I mapped this comparison in the graph below, which helped us identify which industries we should be targeting with our business strategy.